Dr Mark Nicholls’s teaching and research interests lie in Tudor and Stuart government and politics. 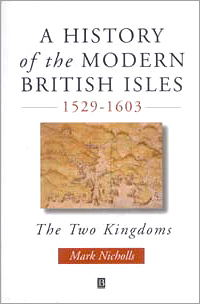 His publications include Investigating Gunpowder Plot (Manchester, 1991) and The History of the Modern British Isles, 1: The Two Kingdoms, 1529-1603 (Oxford, 1999) the first volume in the Blackwell History of Modern Britain series. Mark has also published several analyses of conspiracies and state trials, as well as studies of ‘succession politics’ at the death of Queen Elizabeth I, the political career of Sir Walter Raleigh, and University humour. Mark completed a new edition of George Percy’s ‘Trewe Relacyon’ (2005), one of the key texts chronicling the initial English settlement at Jamestown, in Virginia. Having edited the Journal of the Society for Army Historical Research for eight years, he retains an active interest in the history and traditions of the British Army. He was closely involved in the conferences and public events marking the 400th anniversary of the Gunpowder Plot conspiracy in 2005. 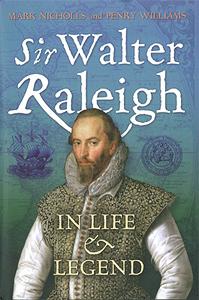 Mark Nicholls and Penry Williams's Sir Walter Raleigh: in life and legend was published by Continuum in 2011.